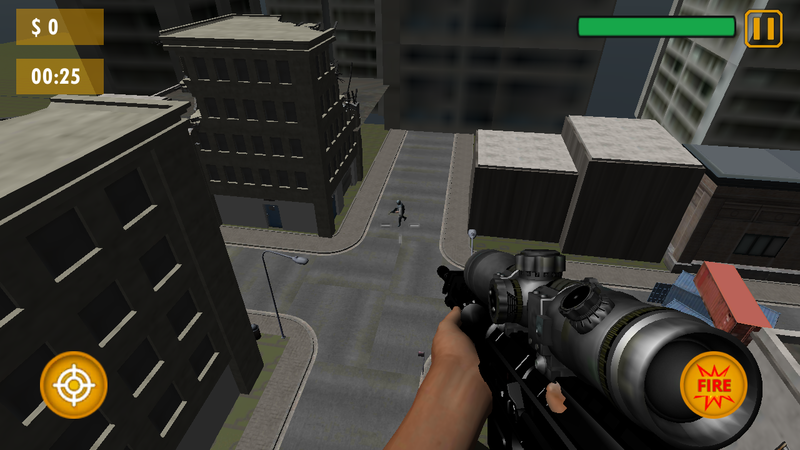 Ultimate Heli Sniper is a first-person3Dshooter game free for android. You will play as a lastsniper,strike terrorists. Your mission is to fight againstenemiesattacked & destroying your City basecamp, to effectivelycombatenemies activities. 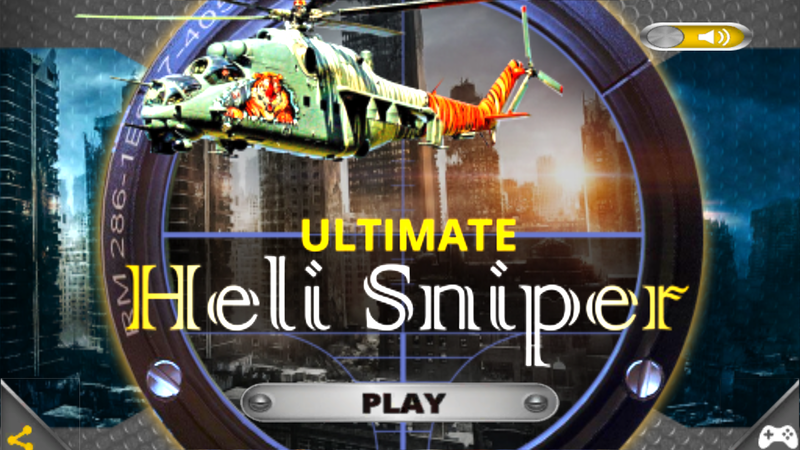 Ultimate Heli Sniper is best game in all top 10 best snipergames.You must kill the all enemies , complete the tasks intime.Ultimate Heli Sniper is totally free, win the gold coinsbyshooting the target, so you can buy other more advanced gunsfromstore. The more latest gun make you more powerful. Yes you are aloneinthis mission, dare you accept the challenge? Take the sniperaim,kill each enemies, don’t let them to destroy your whole city. - Kill 5-10 enemies mission to complete. - Vivid 3D graphics & Amazing Background music. - 3 unique missions and best environments. - 4 advance weapons to choose . The Mission: Combat 2017. You are a specialfrontline soldier of this mission. Your mission is to use yourmodern weapon, use your skills to shoot to death enemies in theirhomeland and survive in this war game. A latest new game TheMission: Combat 2017 War frontline fight duty in the mostchallenging shooting showdowns in sniper games.Your mission infiltrates secure enemy army basecamp, air baselocations and eliminates high-profile targets, using Map, performlethal military strikes and confront the Syndicate across. Theenemy isn't aware of your manoeuvre so take your first shotcarefully, army enemy will attack you once they get alert, completethe mission objectives, you must complete the task to advance tothe next mission.In this mission like commando games, observe the airbase, base campand enemies before making the right choice. 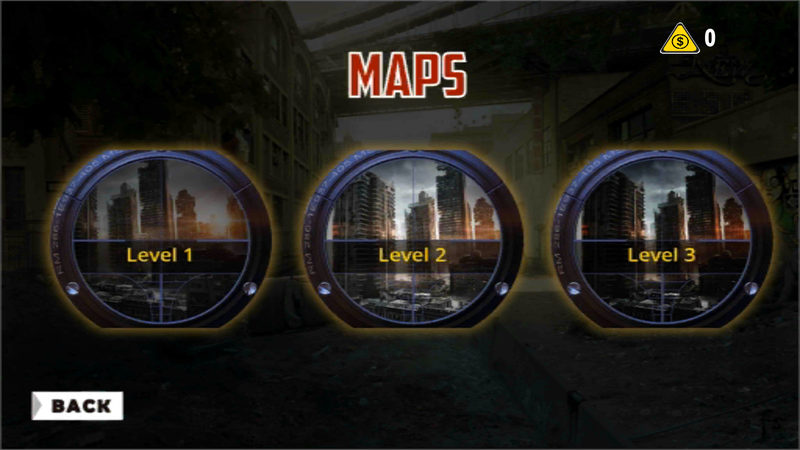 **Game Missions **Kill every enemy in your way through 6 enemy battlefields! Holdyour weapons tight, be a specialist commando.Mission 1 Deadly AttackMission 2 Deadly CastleMission 3 Don’t Make a NoiseMission 4 Ice CageMission 5 Desert ArrowMission 6 Final CombatAre you ready? For frontline fight in the most challenging shootingshowdowns in sniper games and commando games, combating terroristbase camp.Frontline assault on enemy’s base camp, destroy their resources,and defend your country against attack! Ultimate Heli Sniper is a first-person3Dshooter game free for android. You will play as a lastsniper,strike terrorists. Your mission is to fight againstenemiesattacked & destroying your City basecamp, to effectivelycombatenemies activities.Ultimate Heli Sniper is best game in all top 10 best snipergames.You must kill the all enemies , complete the tasks intime.Ultimate Heli Sniper is totally free, win the gold coinsbyshooting the target, so you can buy other more advanced gunsfromstore.The more latest gun make you more powerful. Yes you are aloneinthis mission, dare you accept the challenge? Take the sniperaim,kill each enemies, don’t let them to destroy your whole city.Ultimate Heli Sniper’s Features:-- Kill 5-10 enemies mission to complete.- Vivid 3D graphics & Amazing Background music.- 3 unique missions and best environments.- 4 advance weapons to choose . Great VR AppStore hit now available for Android! Immerse yourselffully in this 3D/360 game with the VR headset (Cardboard, FIBRUM,Dive, Homido, Zeiss One, Beenoculus, Colorcross, AirVR, ...) andsave three different cities from bad guys who terrorize localpeople. See what it takes to aim and shot while riding on anarmored car!The rules of the game are easy. Look arround from yourposition to find terrorists. Aim for three seconds (close right eyefor perfect aiming) and voila! This game can be also played withoutVR set but big screen and steady hands are strongly advised.Noadditional controller is required but gyroscope is a must. Are you people waiting for a 3D Sniper Game Free full of Action,city in hazard, boom and accurate arsenal shooting? Here you are atright place, Top Sniper Soldier game is a shooting game where youwill identify and shoot your enemies. It is the best experience offirst person shooting game. A sniper soldier has the task to finishthe enemies. There is hazard in the city and you have been assigneda mission to clean the city from your enemies. Identify and shootthe enemies. You are a commander in battlefield to shoot the hazardtraitors. Kill all the enemies with your sniper with out lettingthem know that you are in enemies’ battlefield. Boom all thetraitors with accurate sniper's arsenal.There are five differentlevels that have excellent different environments with stunninggraphics and real world environment. You will really enjoy this topsniper soldier with his arsenal in the battlefield to boom hisaccurate shooting to the hazard enemies. This game is for freeoffline. This is one of best sniper games on the store for free inwhich soldier is at the mission to free the city from hazard. He isin the battlefield with his arsenal completing his missionaggressively. You will be enjoying this nicely physics applied gamewhile playing because the game has a beautiful 3D environments. Youwill love this game because it is providing you a good graphicslooking like a real environment. This sniper physics based gamewill provide you the best playing experience.How To Play: 1. Touch& drag on the button and aim your shooting weapon 2. Tap Firebutton at bottom right to shoot 3. Use the telescope for snipershoot 4. The weapon will reload itself automatically 5. Boom andblasts the physics of enemies by focusing 6. Do not forget thetimerTop Sniper Solider Features: 1. 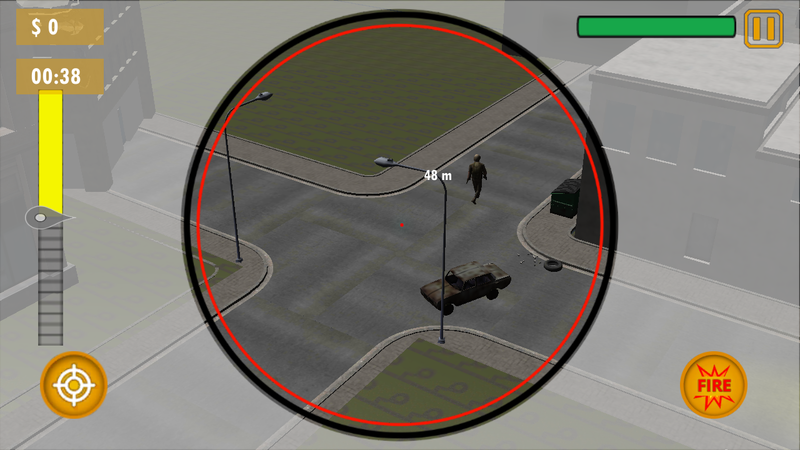 Real world environments 2.City controlling by soldier arsenal 3. Excellent game controls 4.Stunning graphics with excellent sounds 5. Excellent enemies realphysics animation 6. Unique maps with stunning game play 7. Awesomephysics applied in the gameTop sniper soldier will surely challengeyour will, so be prepared for it to boom and blast.Give us yourfeedback by writing review and by giving us stars will show us howmuch we are accurate in our development and tell us which changesshould be done in our game.Best of luck and do share Top SniperSoldier with friends and families. The Best sniper game for FREE, Play now!You are one of the bestsniper, you have been selected to kill all the terrorists in thecity. Shoot to kill all your enemies – Enjoy the ultimate shootinggame only on Android. Ruin the terrorist’s strategy to spreadterror in your city by killing them one by one and accomplish themissions. s- Easy Touch, Drag and Tap Gameplay- Progress throughthe missions to unlock highly upgradeable weaponsNow become aTerrorist Assassin and shoot to kill all of them to death. Unlockall the weapons to complete the task with ease and accuracy butdon’t kill the innocent people while eliminating the terrorists inthe game play. Enjoy the 3D environment and graphics with amazinganimation. - Dangerous Weapons to kill- Unlimited Wanted Missions-Addictive Game Play- 10+ Primary Missions- Best Sniper game- Smoothand sensitive controls to play - Astonishing 3D graphics and coolanimations Join the sniper killing fever on Facebook athttps://www.facebook.com/iGamesEntertainmentIf you have anysuggestions to improve, please contact us. We will try to implementit as soon as possible. Thank you! Hold your breath & Pull the sniper triggerin this real-life 3D graphics and sounds environment, the gamegives an exhilarating experience to complete this mission. Use yourlimited ammo wisely and kill the insane enemies at a distancebefore they get a chance to aim at you. Aim for head-shot topreserve your ammo. The enemy isn't aware of your presence so takeyour first shot carefully, to begin the onslaught, because themoment you fire, your gunshot will be heard and the enemy will beupon you before you know it. There’s no turning back, so let theonslaught begin. Make sure you keep yourself well focused anddetermined before firing your first shot.Wish you all the good luck that you would surely need for thismission.How to Play:1. Touch and move the screen to aim the enemy.2. The enemy will not attack with their Ak-47, until you fire yourfirst shot.3. Use your Sniper scope to aim at enemies from a distance.4. Use fire button to shoot.5. Aim for the head; shoot once and accurately, to stay away fromtheir onslaught.6. The gun reloads automatically.7. Zoom in to kill the enemy and then zoom out if required. The best shooting game in this year is coming! ! !It will bring youa different game experience! ! !New graphics, new operation, newgame play! ! !The TOP artwork team made the most wonderful graphicsof mobile games! ! !Do you aspire to be a crack shooter? In thisgame, with the real surrounding and physics engine, will definitelysatisfy you without any doubt. Sniper Mission Escape Prison has gotpraise of players! Its sequel must be a popular game as well! ! !Sniper Mission Escape Prison 2 a very realistic first-personshooting game. Immersive 3D effects! 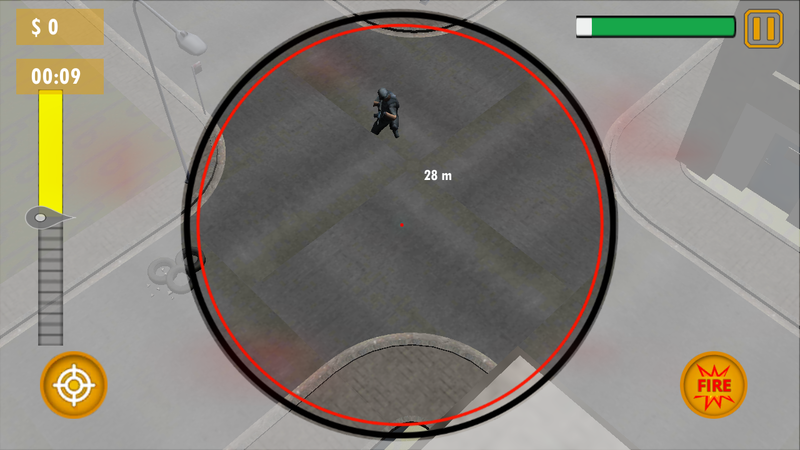 Players need shoot the guardto help prisoner prison escape . Just tap to aim at your target andtap fire icon to shoot bullets! When you use up bullets, you cantap load icon to reload bullets.There is rich arsenal within thegame, you can choose any weapons you want to complete the variousmissions.In this battlefield, you are the sniper who masters allthe life and death.Now download Sniper Mission Escape Prison 2 andenjoy it!